Christian religious ceremonies involving christening or baptizing a baby date back centuries. More recently, some churches have moved toward baby dedications. In all of these ceremonies, a special outfit is often worn baby the infant. 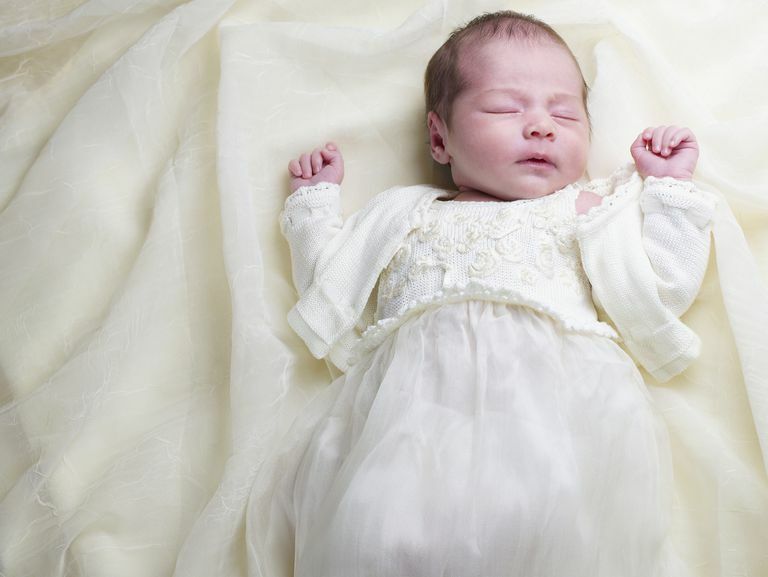 Most often called "christening gowns," these outfits are sometimes handed down from one generation to the next. In other cases, the parents may choose their own outfit and then preserve and store it away in the hopes of starting their own family tradition. 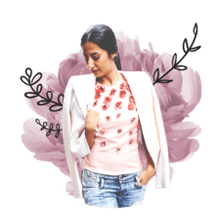 Let's take a look at some timeless christening clothes for baby girls and boys that could easily be handed down to the next generation in your family. One look at this gown and you know that it's going to be a keepsake, likely to be handed down to the next generation with proper preservation. The beautiful gown starts with a 100% cotton champagne-colored lining, which is then accented with an expertly detailed ivory-colored overlay that includes handmade silk roses, gold satin ribbons, and exquisite chiffon leaves. This heirloom quality dress is a wonderful and appropriate diversion from the traditional white gown. It really is breathtaking, isn't it? The scallop lace trim adds to the vintage look, as does the ribbons and cap sleeves. This is definitely a keeper. Parents that have previously purchased this gown give it an almost unanimous five-star rating, but they do say that the sizing seems to run a bit small and the color is a bit darker than what is pictured. Available in sizes 0-3 months and 6-9 months, this gown is priced at $185 and available exclusively at Baby Beau & Belle, a Washington-based retailer focused on christening wear. Each garment is designed in-house by Roberta Salton using the finest materials available, including Venice laces, silks, and French ribbons. A matching headband, bonnet, receiving blanket, and booties are also part of the Louisa line. View the entire "Louisa" line at the Baby Beau & Belle website. While the market is flooded with christening gowns, there are also outfits marketed for families of boys. Now, that's not to say that baby boys can't wear christening gowns; they certainly can (as is evidenced by those two adorable boys at the beginning of this article), but some parents may prefer outfits that are a little more "boyish." This cotton and polyester blend (88% cotton, 22% polyester) "​longall" from Petit Ami, a company that's name is derived from the French language, includes a coordinating hat, pintucking, and embroidered accents. Parents and other purchasers give this a nearly five-star rating and report that this runs a little small, is beautiful in-person and is dressy but not frilly. The only complaint that parents seem to register is that the material is a little thin, which translates into see-through. Now, some parents may balk at the idea of a cotton and polyester blend because they may feel that it detracts from the "heirloom quality." But on the flip side, the blend means you won't deal with wrinkling issues the day of the big event. The moment I laid eyes on this christening gown, I fell in love with the updated styling that creates an almost "bubble dress." It's classic enough that it could be easily handed down to future generations but current enough that it's almost trendy. There is a downside, of course. This outfit is 100% nylon, which may be a turn-off to some parents who prefer a natural fiber against their baby's skin. It's a hand-wash only item, but chances are your baby will only wear it once anyway. Biscotti Baby is considered "designer" in the baby clothes world, so their items tend to be priced a little higher your mass retailer. Some parents prefer to dress their little men to the nines. This five-piece satin tuxedo certainly takes care of that. Parents rave about its styling and how well-made it is. Created by Lito Children's Wear, a company founded in 1973 to specialize in children's dressy wear, this set includes the cuffed pants, round tail jacket, shirt, bowtie, and cap. Sizes start at newborn and go up to 2T, it is not available in 24 months (you can learn the difference between 2T and 24 months here). The front of the jacket is embroidered with crosses. Available at Amazon.com, this is an affordable option for families looking to buy a dapper christening outfit without spending hundreds of dollars. For some parents, heirloom translates to handmade. The gown shown here is from the "Oriana" line and incredibly ornate. Made of silk and lace, this 40" gown is embellished with hand-sewn sequins, pearls, and crystal beads. The hem is offset by with a high-quality re-embroidered lace and additional trimmings. Angela West sells via her Etsy store and is willing to work with parents regarding proper sizing. Since each gown is made based on your baby's measurements, you don't have to guess as to what size to order. The Oriana style is available in both white and ivory and the gown can be monogrammed if you choose. While this is by far the most ornate, it's also the most expensive on the list. It's definitely meant to be an heirloom piece, which brings up a good point. If you plan to store this for future generations, avoid monogramming the gown itself. In addition to the gown, you will also receive a bonnet, booties, bib, blanket, and bloomers. When you consider the amount of work that goes into hand-making each of these items, the cost doesn't seem quite so prohibitive. Many parents love to adorn their baby's head with a cute headband to go with their gorgeous gown for the day. The one shown here is carried by Banner Boutique on Etsy, along with many other styles, including their "vintage headband" which I think is equally adorable. Check out the entire selection of christening headbands on Etsy (but be prepared, there's lots of cute baby faces to be seen too). Depending on your style preference, you might want your little girl to wear a bonnet to her christening. Or perhaps you have a baby boy, in which case a hat might be more appropriate. The Elizabeth Rose christening bonnet shown here is simple in style and handmade by Snowdrops Design on Etsy. There are other more ornate styles of bonnets available, and some christening outfits even come with them. If you're anything like me, you feel like any baby outfit is incomplete without a pair of shoes, socks, or booties to go with it. Here's a sampling of what's available to compliment your baby's christening or baptism outfit. These shoes are available from Personalization Mall and are unisex in style (though they're listed specifically for boys), so they would be appropriate for any child. If you're looking for something slightly more delicate for a baby girl, I'm loving these Sarah Louise silk christening shoes with a ribbon tie. What Are Seat Belt Lock-Offs? Does Your Baby's Car Seat Have Them?